List of the seen films that are submitted at The 91st Academy Awards for Best Foreign Language Film. The 91st Academy Awards ceremony will be held at the Dolby Theatre in Hollywood, Los Angeles on February 24, 2019. The 9 shortlisted films for Best Foreign Language film at the 91st Academy Awards will be announced in December 2018, while the final five nominees will be announced on 22 January 2019. As Leos Carax said, Foreign language films are made all over the world except America. This year we have 87 foreign language Oscar contenders competing to find the place in nomination for The Best Foreign Language Film at the 91st Academy Awards. The critical acclaimed Roma, Alfonso Cuaron’s autobiographical black-and-white 70s family drama, is the current favourite to most likely win it. Oscars has been unpredictable at times but Roma would most likely get a nomination if not win it. Here is the list of the films submitted to The 91st Academy Awards for Best Foreign Language Film which I have seen. The List will be constantly updated upon my viewing of the films in the category. “Operation red sea” is a colossal waste of time and all the resources used to make the film, except for its beguiling cinematography. The picturesque cinematography blending high contrast with sharp brightness creates a distinctive style that is immersive and impressive. But, alas, the monotonous arch of the characters and the exaggerated jingoistic plot line is not good enough for the experience. 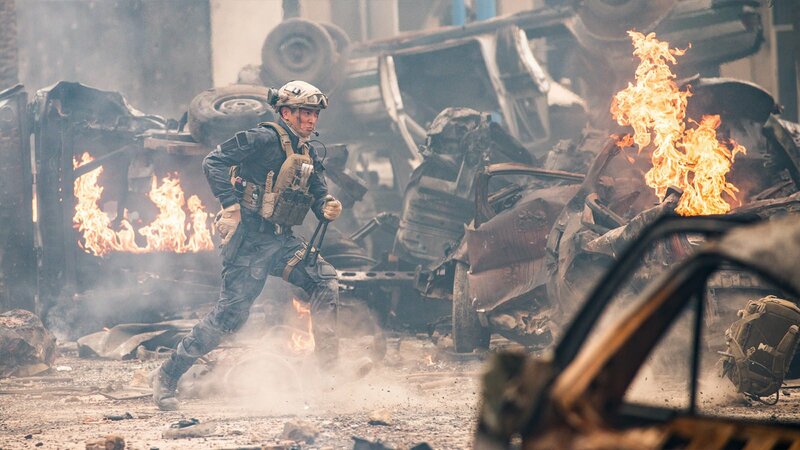 In presenting the glorious celebration of Chinese military coup to rescue the hostages, Dante Lam ignores the basic grammar of film-making, paving the path for breakneck actions crammed with many graphical violent scenes that don’t do the justice to the narration. It doesn’t feel earned. 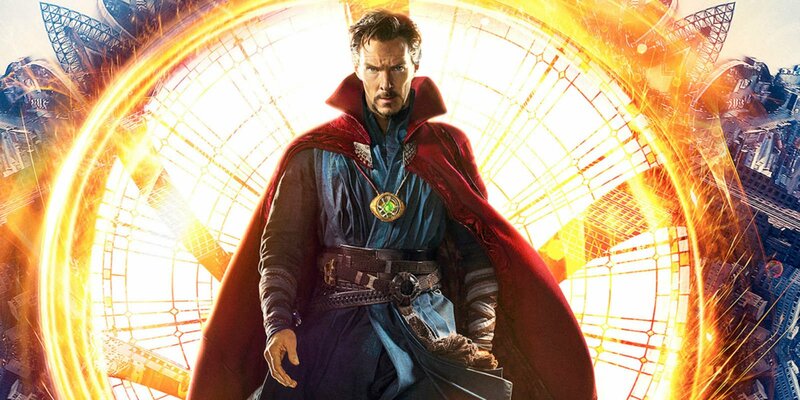 Whether it was the massive expectation or the characters were kept at a distance, emotionally, for the audience to not feel anything, I am not sure what it was but the film felt disconnected and directionless. A very similar Russian film, A Gentle Creature, where a woman is searching for her husband, does evoke the feeling of longing and depravity in the life of the lead character and makes you invest in the story emotionally, which Memoir of War lacks completely. Filmmaker Kaouther Ben Hania addresses a crucial and sensitive issue of women safety in a politically turmoiled country, and layers it with conservative social outlook, the police brutality, rigid dominance hierarchy, and disdainful perspective of modernisation. Loosely based on the controversial true story about a woman raped by two police officers, the responsible pillar for taking care of the society, ‘Beauty and The Dogs’ find its beauty in peeling off each layer of the Tunisian bureaucracy and misogyny to lay bare the deeply rooted issues. The film chronicles the harrowing struggle of Mariam (Mariam Al Ferjani) to file a complaint against the two police officers who raped her in the car. 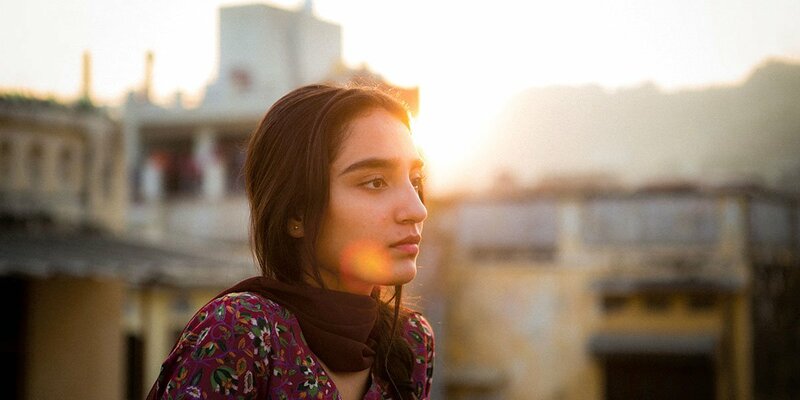 The film suffers from the poor screenwriting coupled with mediocre acting by supporting cast lessens the overall impact of the plight of Mariam. “Champions” follows a done to death plot of a disgraced man thrown into a circus of a situation on the court orders. He does redeem himself in the end. The film quite comfortably marries off the plot of a disgraced coach and an underdog team of disabled players. Even though the characters are developed to demand your sympathy than earn it, the film essentially knows it and never tries too hard to be life-altering, a philosophical guide on living guidelines. It is a lighthearted, harmless film that could be enjoyed over a weekend. The paper-thin narrative tries to touch upon the innocence and aspiration of a 10-year-old girl without the coherent screenplay. It does have the glimpse of an achingly beautiful story of a girl that gets squander somewhere in poor technical craft [budget could be the reason] and single note performances of the supporting cast. Writing, directing, editing, doing the camera work, costume design and most of the production assignments, Rima Das pretty much like her petite central heroin is a roaring one woman army. You can read the complete review here. 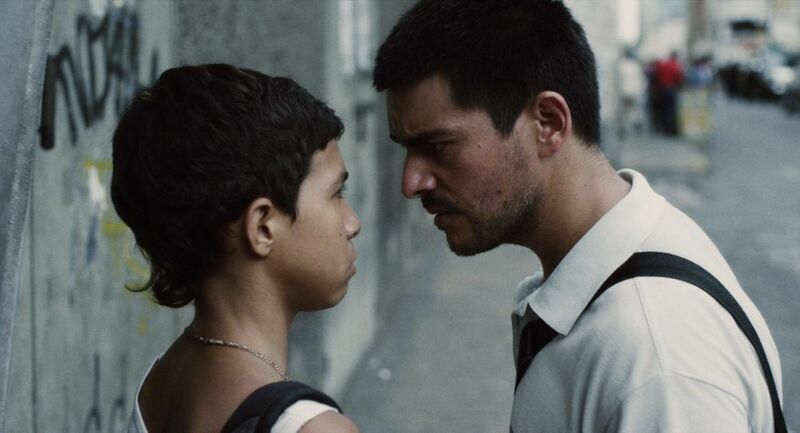 La Familia is a straightforward sleek drama revolving around a father and son on a run after the son accidentally kills another kid from a poverty-stricken neighbourhood of economically decaying Venezuela. Gustavo Rondon Cordova takes the issue of father and son embroiled in a violent situation head-on and, constructs a dramatic thriller that unravels over a course of two days. La Familia never gets into the psychological depth of the situation as the narrative deals with the more urgent issue here – survival. The camera moves with the character, trying to capture the observational details, as in with the opening scene that establishes the similar horseplay ecosystem of kids as in ‘City Of God’, without any expositions. La Familia is a bold and gutsy debut film largely driven by the understated performance of the lead actors who come of age by the time end credits roll. “What Will People Say” is a harrowing tale of a Pakistani teenager born and brought up in Norway. She finds herself in middle of a storm when her conservative & patriarch family finds her with a boy in her room in the middle of the night. To redeem their lost respect in the neighbourhood and impart the cultural values to their daughter, they have her sent to Pakistan to stay with her paternal aunt. The film is rigged with daunting events that follow her throughout the film, building up the rage to a point of suffocation where death seems a better choice. Iram Haq’s writing is quite manipulative at times, in spite of the believable characters sketched in hurry. Adil Hussain carries the film with confidence and lifts it up whenever the film falters. At its outset, Gutland seems like those run of the mill drama thriller about a mysterious stranger’s intrusive arrival in the remote village inhabited by closely knitted families – they work in the morning harvesting the endless farmland and party in the night. You believe that the outsider, Jens (Frederick Lau), would bring troubles and disrupt the peace of the dwellers. But the debutant film-maker, Govinda Van Maele flips the notion on its head and weaves a surrealist rural noir, blending fantasy with the naturalism leaving Jens under the constant fear of danger lurking in the corner. Govind smartly shifts the genre. The narrative gets tighter and unsettling with the revelation of unusual and disturbing events that deepen the drama. It’s an allegorical film on the outsiders trying to find a new identity and a place for themselves. What does it cost to be a part of a community and how much you can compromise on your personal and cultural identity? Veijo (Matti Onnismaa) is a believer of Karma, an agent of death, a folk philosopher, an angel to the suffering animal, a loner, and a pipe smoker. He is asocial and very clear about not having a child. His love for pet animals is insurmountable, it goes to such an extent that he helps pet lovers to put down their pets. He buries them with dignity and shall drag you to the field to bury the animal, in case you have run over them. A 50ish bike mechanic who, when not repairing bikes and visiting his father in the hospital, euthanize pet animals. The larger animals get shot and the smaller ones get the gas. Euthanizer is a twisted tale of cruelty and love for animals seen through the eyes of Veijo and a wannabe Neo-Nazi Petri (Jari Virman). Teemu Nikki smartly weaves a story of a man who finds himself helpless to fit in a group and a man who loves to be by himself. A black-comedy disguised as a social satire which is also disguised as a magical realist take-down of superstition and gender roles, Rungano Nyoni’s “I am Not a Witch” is both amusing and tragic, funny and sad, playful & incredibly important. A rare, bold and extravagant debut film which sets Rungano Nyoni apart from other contemporary film-makers based on her incredible visual style alone. Film-makers have often re-visited The World War II to dig up the various gallant and humane stories, often admirable and plainly shocking. The Dutch drama “The Resistance Banker”, based on the real-life story of Dutch banker Walraven van Hall (Barry Atsma), is a fascinating and riveting story of a man who formed an underground bank. The underground bank funnels the funds to help Dutch sailors stranded abroad by the war. As the war continues, Walraven expands the mission and fund the Dutch resistance. The production value is nuanced and the framing composition involving long shots are pièce de résistance.